The importance of experience is extraordinary when it comes to handling gates. This is one thing you can all be sure about when you decide to hire us at “Gate Repair Anaheim”. You can also be certain that experience is not the only advantage of our team. We might have all worked in the field for years, but at the same time our training doesn't stop here. Keeping updated with recent residential gate openers, new materials and repair techniques is part of our job. Being concerned about such things and the ways our professionals will help customers is part of who are technicians are. Such matters concern you too if you are looking for an experienced gate repair company with solid infrastructures and a committed team. These are the qualities describing our professionals at Gate Repair Anaheim. These are the things which best describe who we are and the reasons for us offering quality services. If you want to know more about us, please feel free to call our staff. People interested in a gate company are surely interested for the services offered. The range of services we offer can cover any possible need and issue you might have with your gate. * Are you interested in hiring the best for a new gate installation? * Is your opener giving you trouble lately and you need to have it repaired? * Is your gate not closing all the way as it should and you want to have it checked? Whether you need electric gate repair, replacement, installation or maintenance, our professionals can help you. New products – including gates, openers or parts – are ordered and installed by our technicians. The replacement of broken parts takes place as soon as possible. With a broken chain or damaged posts, you will have trouble closing the gate. Such urgent issues are fixed in timely fashion by our company. What's of the essence is that our team responds fast to your emergency calls and has the knowledge to fix parts and electric systems of both swing and rolling gates. Our technicians always arrive equipped and on time at your home. Even if your problem is not urgent, we consider it our obligation to provide our service at the scheduled time. You can be sure that your expectations will be exceeded not only in terms of quality and range of services, but also in terms of professional courtesy. With a knowledgeable team ready to be of assistance, you can be certain of our professionalism and the results of our work. Never hesitate to contact our team when you need assistance! Feel free to call us any time you have questions or need our service! Our team has great experience in the field of gate repairs and knowledge of all openers used for residential gates in California. 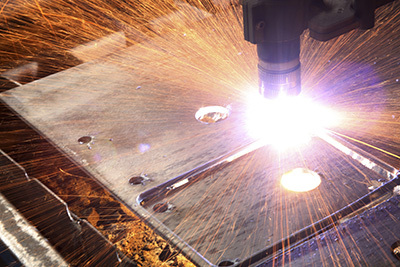 We offer same day repair & new installations, replace rotten parts and stand by our clients. 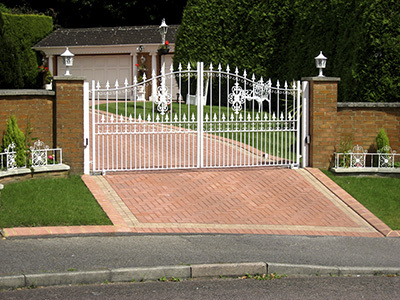 In case of poor operation, evident physical damage or complete failure, driveway gate repair is required. The nature of the problem and its cause are identified through inspection and testing. The repair process involves the application of methods for restoring the condition and operation of damaged or faulty components. Damage to the panels, posts and other structural components is typically due to moisture, pests or the use of excessive force. If the damage is extremely severe, these components are replaced instead of being restored. Hardware parts including hinges, wheels, rollers and tracks can suffer from rust, denting, bending and great wear and tear. 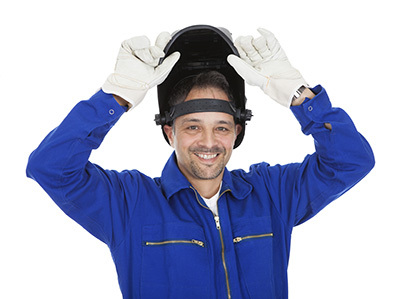 The repair can involve cleaning, straightening and lubrication. Parts that cannot be fixed are replaced. Electronic components such as openers and remote controls can require hardware repair, software repair or both. Usually, advanced techniques are required for fixing these devices. Sometimes, the replacement of a component such as a motor or chain is required.